There are a number of ski slopes in the state that can be developed as top tourists destinations as well as resorts for conducting national and international skiing competitions, but the government has done nothing to tap this potential. 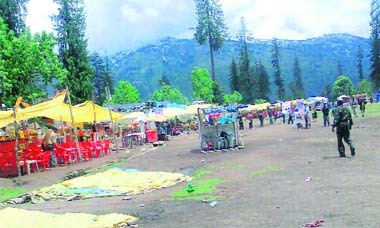 The state government in its notification last year had increased the minimum wage to Rs 100 per day. It means a worker or labourer should get a minimum wage of at least Rs 3,000 per month if employed on monthly basis. However, this creates a paradoxical situation in most of the schools in the state where teachers are being paid less than the prescribed minimum wage. The fund-starved state government is banking on hydropower development to find a permanent solution to its financial woes. It has put the execution of hydropower projects on the fast track to exploit the state’s identified hydroelectric potential of 20,386 MW by 2020. However, the alarming rate at which the glaciers are melting due to global warming and the declining snowfall could upset its plans. 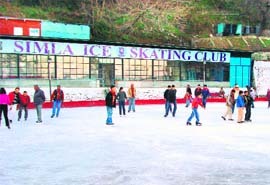 Shimla has only one ice-skating rink, not because there is no other place in which sun journeying on its winter’s crescent evades the site making it cold enough to let the water freeze naturally. But it is because there was only one Irish Colonel Blessington here in 1920 who unwittingly kept a bucket of water outside his residence and found in the morning that it got frozen. 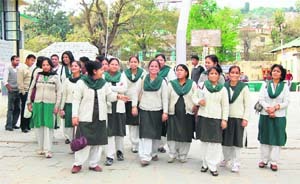 A doctor hailing from a remote village of Hamirpur district has not only made valuable contribution in the field of tuberculosis and leprosy at the national level, but has also brought laurels for the state by being selected for the posts of the first secretary of the department of health research and director-general of the Indian Council of Medical Research (ICMR). Hamirpur town gave a glance of mini India when women players from 22 states and two union territories assembled here from December 26 to 29 to participate in the 34th national women’s festival. For a sleepy town like Hamirpur, which had not organised a sports meet of such a magnitude, it was a proud moment to host the national games for the first time in the sports history of Hamirpur and even Himachal Pradesh. With the addition and deletion of the several areas according to the Himachal Pradesh Gazette Notification published in respect of delimitation of parliamentary and Assembly constituencies in the state, the leaders of various political parties in the state are nowadays seen busy in strengthening their political grounds and drawing new election strategies for the forthcoming Lok Sabha (LS) elections scheduled for this year on the basis of demarcated extent of the Assembly constituencies. She cherishes the dream of becoming an actress in Bollywood when she grows up, but with her exceptional dancing skills she has already got the opportunity to perform in a Hindi movie at the age of eight. With little means to check the misuse of ‘press’ stickers on vehicles, their increasing use in crimes has become a cause of concern for the police. The more than century-old Jain Dharamshala has been repaired and renovated for the first time. 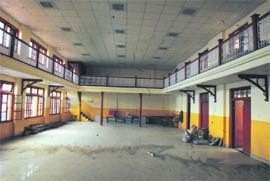 The entire complex has been redone and the temple, the community hall, rooms and other parts have been given a facelift. While three rooms have been upgraded to deluxe rooms with attached toilets and furniture, upholstery and other fixtures in all rooms have been replaced.